The Finnish legal system is based on statutory law, which is supplemented by case law. Finland joined the European Union (EU) on January 1st 1995 and thus the legislation of the European Union law is applicable in Finland, either directly or by incorporation. In addition, Finland adheres to a number of international treaties and conventions, including the UN Convention on the International Sale of Goods. The international agreements that Finland adheres to can be found in the Treaties section (Fi. Valtiosopimukset) at www.finlex.fi. In order to be enforceable in Finland, international agreements need to be incorporated into Finnish national law. For treaties concerning legislation, this is done by blanket acts that simply refer to the content of the treaty in question, whereas other treaties are incorporated by statutes. Finland is a member of the European Monetary Union (EMU) and the currency of Finland is the Euro. Finland offers a wide range of financial incentives for companies. Furthermore operators such as Invest in Finland and Finnvera, are available to assist companies to establish or to expand their businesses. Such incentives are available to both Finnish and foreign investors, and as a general rule, there is no discrimination between benefits granted to foreign investors and those granted to local investors. The incentives are however mainly designated for medium-sized and small companies. They comprise of e.g. financial investment grants, credit guarantees and tax benefits. Starting up a business in Finland is a relatively simple process. Local and central government in Finland widely encourage foreign investments. Foreign companies can get help and information concerning investments and doing business in Finland from e.g. Invest in Finland. It is not necessary to have a Finnish partner to start up. In general, no operating licenses are required to conduct business in Finland, with a few exceptions for specific areas such as insurance, banking and financial services. However, investors approved by other EU countries may benefit from mutual recognition of such licenses. The different business entities in Finland are a private limited liability company (Fi. Osakeyhtiö or Oy), a branch of a foreign company (Fi. Sivuliike), a general partnership (Fi. Avoin yhtiö), a limited partnership (Fi. Kommandiittiyhtiö) and a cooperative (Fi. Osuuskunta). Business activities conducted by foreign companies are usually carried out through a limited liability company or a branch. There are two categories of limited liability companies, private (Fi. yksityinen) and public (Fi. julkinen). The difference between the two categories is mainly determined by the right to turn to the public for capital; only public companies can issue shares or other securities intended for trade on a stock exchange. The public limited liability companies who decide to do so are referred to as listed companies (Fi. Listayhtiöt) Furthermore, there are differences between these two in, for example, minimum share capital requirements. The business activities must be carried out in accordance with the Finnish Companies Act (Fi. Osakeyhtiölaki) and the adopted articles of association (Fi. Yhtiöjärjestys). In a limited liability company, the shareholders are not personally liable for the obligations of the company. To form a legal entity, the shareholders must sign a Memorandum of Association (Fi. Perustamissopimus) and within three months thereof the limited liability company must be registered with the Finnish Trade Register (Fi. Kaupparekisteri). The company name of a private limited liability company must contain the word “Osakeyhtiö” or the abbreviation “Oy” (“Julkinen osakeyhtiö” or “Oyj” for public limited liability companies) and the company name must not be confused with an existing company or trademark. A company name should further individualize the business of its owner. The company’s registered office must be specified in its articles of association. An easy and quite common way of setting up a limited liability company in Finland is to purchase an already fully organized and registered shelf company by share transfer. After the share transfer is concluded the new shareholder may modify the structure of the company, add objects of activity, change the name, modify the articles of association etc. All such changes must be reported to the Finnish Trade Register. It shall however be noted that sometimes making all the desired changes may end up taking as much or as even more time and resources than setting up a completely new company. The best option should hence always be evaluated on a case-by-case basis. There are generally no special requirements regarding the shareholders of a limited liability company, such as restrictions as to the number or nationality of the shareholders. Foreign shareholders of a company do not, for instance, need a permission from the Finnish authorities for the ownership of shares. The share capital must be at least EUR 2,500 in a private limited liability company and EUR 80,000 in a public limited liability company. All shares carry equal rights unless otherwise stated in the articles of association. The articles of association may prescribe different classes of shares (e.g. A- shares and B-shares), which result in different voting rights or different rights to the assets or profits in the company. The shareholders’ rights are exercised at the Shareholders’ General Meeting (Fi. Yhtiökokous), which is the highest governing body of a company. Each shareholder has the right to be present, the right to have a matter dealt with by the general meeting and the right to consult a legal counsel at the meeting. Decisions are generally made by simple majority, although certain resolutions require qualified majority (2/3). A limited liability company must have a Board of Directors, which is the highest ordinary body of a company responsible for the administration of the company. The board’s formal responsibilities are regulated in the Finnish Companies Act, as well as in formal guidelines such as the Finnish Code of Corporate Governance (Fi. Listayhtiöiden hallinnointikoodi), the latter of which however applies only to listed companies. The board shall manage the company’s affairs in the best interest of the company and its shareholders. The board’s responsibilities include all such activities that do not require approval by the Shareholders’ General Meeting; both long-term decisions concerning policy, strategic planning and short-term decisions concerning the day to day management. The Board of Directors, unless otherwise stipulated in the articles of association, must consist of between one and five directors. If the number of directors is less than three, the board must have at least one deputy director. If the board consists of more than one director, it must have a chairman chosen by the board. The chairman shall among others ensure that board meetings are held when necessary. The Companies Act requires minutes for all board meetings. The minutes must be signed by the chairman and at least one director. The minutes shall be numbered consecutively and archived in a reliable manner. A Managing Director is to be appointed if so stated in the articles of association or if the Board of Directors so decides. The Managing Director is generally in charge of the executive management of the company in accordance with the instructions and orders of the Board of Directors. The Managing Director shall also e.g. see to it that the company’s financial affairs have been arranged in a reliable manner. The Managing Director should in principle be resident within the EEA, but the Trade Register may grant an exemption from this rule. If none of the directors or none of the deputy directors is a resident in the EEA, a permission from the Trade Register is required. This means that at least one of the directors as well as one of the deputy directors must be a resident in the EEA to be exempted from the requirement of a permission. The directors are appointed by the General Meeting. A company may principally distribute dividends from its reserves of unrestricted equity. The distribution of dividends must be based on the latest adopted financial statements. However, the company must leave undistributed the amount of dividends that might be stated in the articles of association. A company may also not distribute dividends if it is known or should be known that the company is insolvent or that the distribution will cause the insolvency of the company. A foreign company wishing to establish business in Finland without setting up a Finnish company may conduct its business activities through a Finnish branch. A branch is a part of a foreign company that carries on a continuous business or trade in Finland, from a permanent place of business located in Finland, in the name and for the benefit of the foreign company. A branch is not considered to be a legal entity of its own but instead a divisional office of the foreign-based company, and as such only partially subject to Finnish law. The branch must have a separate trading name including a word indicating the nature of the branch as a branch of a foreign company, such as “sivuliike Suomessa”, “filial” or “filial i Finland”. A branch usually constitutes a permanent establishment in Finland, which means that the branch is liable to tax in Finland for the income gained in Finland. The foreign company wishing to establish a branch in Finland must submit a start-up notification concerning its branch to the Trade Register before the branch commences its operations. All documents attached to the notification shall be in Finnish or Swedish. If the company opening the branch is from a country outside the EEA, it will also need a permit from the National Board of Patents and Registration for the establishment of the branch. A branch shall have a representative. If the trader is a foreign corporate body or foundation that is founded under the legislation of a country belonging to the EEA and has its domicile, its central administration or head office in a country belonging to the EEA, the representative must be resident in the EEA. In other cases, the representative must be domiciled in Finland. All limited liability companies and partnership companies are always, and branches usually, obliged to maintain accounting records under the Bookkeeping Act (Fi. Kirjanpitolaki) and they are required by the Act to adhere to generally accepted accounting principles. The financial statement must be prepared within four months after the end of the fiscal year. The financial statement must generally be audited by an approved or authorized public accountant. As a deviation from this rule, small companies (as defined by law) and cooperatives are generally not subject to the statutory audit obligation. The financial statement must be submitted to the Finnish Trade Register within two months after the approval of the profit and loss account and the balance sheet. There are statutory requirements on employee representation in the administration of undertakings. The provisions apply to all companies with 150 or more regular employees working in Finland. Employee representation may be arranged through an agreement. If no agreement can be reached, the personnel are entitled to demand that representation be implemented. In such case the number of personnel representatives may total one quarter of the number of the rest of the members in the body of an undertaking in question; the minimum number of representatives shall, however, be one and the maximum number four. In case an employee performs his or her tasks in Finland, the Finnish employment legislation applies. The Finnish labor market is regulated by both legislation and through collective agreements (Fi. Työehtosopimus). Trade unions traditionally hold a powerful position in Finland and they have the power to agree on rules applicable to employment relationships deviating from the otherwise statutory law. In addition to adhering to the basic terms for employment as set out in the Finnish Employment Contracts Act (Fi. Työsopimuslaki) and collective agreements, every employer must provide their employees with written information on the principal terms of work, unless the terms are laid down in a written employment contract. An employment contract may be made for a specific period (fixed term) only for a justified reason, which must be stated in the employment contract. An employment contract not concluded for fixed term is deemed to have been concluded for an indefinite period. There are no requirements as to the form of an employment contract, but written form is generally used, which is also advisable. An employee is entitled to a reasonable and customary remuneration. However, the collective agreements often stipulate the minimum salary requirements. Managing directors are not covered by the mandatory rules in the Employment Contracts Act or the terms set out in the collective agreements. Their relationship to the company is thus usually entirely regulated in an individual Managing Director contract (Fi. Toimitusjohtajasopimus). Ordinary working hours for full time employees are usually 40 hours per week, excluding lunch. There are, however, a number of collective agreements which specify a shorter, often 37,5 hour, normal working week for particular types of work. Normal working hours may, in fields specified by law, exceed 40 hours a week, as long as the average working hours do not, as a main rule, exceed 120 hours during a three-week period or 80 hours during a two-week period. This type of work is referred to as Period-based work (Fi. Jaksotyö). The statutory working hour limits may however be deviated from by collective agreements. The time spent on work and the time an employee is required to be present at a place of work at the employer’s disposal are considered working hours. The working hours that go beyond the daily working hours at the employer’s initiative are considered overtime. The remuneration for first two hours of overtime is the regular wage plus 50 per cent, and for additional hours the regular wage plus 100 per cent. Employees are principally entitled to a minimum of 2,5 (2 days if the employment relationship has lasted less than a year) days paid vacation per every month in which the employee works at least 14 days or 35 hours, in addition to public holidays. As Sundays are not regarded as vacation days, the employee is entitled to a five weeks’ vacation at most. Employers must grant employees a holiday lasting up to 24 business days during the holiday season following the holiday credit year between 2 May and 30 September, inclusive (summer holiday). The winter holiday, i.e. the part of the holiday that exceeds 24 business days, must be granted after the summer holiday season and before the beginning of the next holiday season, starting on April 1st. Employees who are prevented from performing their work by an illness or accident are entitled to pay during illness. If the employment relationship has lasted for a minimum of one month, the employee is generally entitled to full pay for the period of disability up to the end of the ninth day following the date of falling ill. When the employer has paid an employee pay for the period of illness, it is entitled to receive for a corresponding period the daily sickness allowance due to the employee under the Sickness Insurance Act or the Employment Accidents Insurance Act (608/1948), though not more than an amount equivalent to the pay extended. After this period, the Social Insurance Institution of Finland (Fi. Kansaneläkelaitos) is responsible for the sick pay. The state funded sick compensation is usually approximately 70 % of the respective employee’s salary. A collective agreement may determine that the employer has to provide for additional compensation. Employers, regardless of their nationality, are also liable to provide their employees working in Finland with preventive health care, and often arrange medical treatment and other health services. Parental leave is a legal right for all parents in Finland, and thus all employees are obliged to be given a parent time off. Maternity leave is 105 week days (not including Sundays and other holidays) and paternity leave 1-18 week days. In addition, the father is entitled to a paternity month, which he can have in the end of the parental leave. Maternity leave may start earliest 50 and latest 30 days before the estimated day of the birth and it ends 75 week days after the estimated day of the birth. Paternity leave can be held only after the baby is born. After the Maternity leave ends, employees are entitled to take parental leave, which lasts for 158 week days. Parental allowance is, however, not paid to both parents for the same period (except in the case of multiple-birth families and the Partial Parental Allowance). In addition to the aforementioned, employees are entitled to take child-care leave in order to take care of their child or some other child living permanently in their household until the child reaches the age of three. Only one parent or person having the care and custody of the child is entitled to child-care leave at one time. During maternity or parental leave, the other parent or person having care and custody is nonetheless entitled to take one period of child-care leave. An employee is further entitled to temporary child-care leave, if his or her child of under 12 years old falls sick. The employee taking family leaves is entitled to return to his or her former duties at work. If such work is no longer available, he or she shall be offered work of a similar kind. The employee may not be given notice of termination while pregnant, nor after the employee has expressed the intention to take family leaves or if he or she is on family leave. The parental leaves are funded by the state. If an employer pays salary while an employee is on parental leave, the parental allowance is paid to the employer. According to the Finnish Employment Contracts Act, termination of employment must be based on a proper and weighty reason. Such a reason may be financial or production-related or related to the employee’s person. The previous may occur in case the work to be offered has diminished substantially and permanently (for more than 90 days) for financial or production-related reasons or for reasons arising from reorganization of the employer’s operations. Termination based on the employee’s person may be based on e.g. serious misconduct or disloyalty. Summary dismissal is possible only when an employee (or the employer) has grossly neglected his or her duties towards the employer (or the employee). In such case the termination takes effect immediately. In a redundancy situation the employer may principally decide the order in which employees are dismissed, as long as the order is not discriminatory or otherwise inappropriate. There are however some exceptions to this main rule. For example shop stewards enjoy a very high level of protection against dismissal and may be dismissed only in very exceptional situations. If an employee is given notice on the basis of financial and production-related grounds or in connection of a reorganization procedure and the employer needs new employees within nine months as of termination of the employment relationship for the same or similar work that the employee given notice had been doing, the employer is obliged to offer work to this former employee if the employee continues to seek work via an employment office. Employees have a far-reaching obligation to be loyal to their employers. The concept of employment loyalty covers an array of different obligations such as obligations for the employee to put the interests of the employer ahead of personal interests and to avoid situations entailing a collision of interests. An employee must not act in such a way as to harm the employer, must observe confidentiality and must refrain from competition during their terms of employment. For a particularly weighty reason related to the operations of the employer in the employment relationship, an agreement of non-competition may be concluded between the employer and his employee. Such an agreement may limit the employee’s right to conclude an employment contract on work to begin after the employment relationship has ceased with an employer engaged in operations competing with the first employer, and also the employee’s right to engage in such operations on his or her own account. Such restriction may be valid for a maximum of six months, or if the employee can be deemed to receive reasonable compensation for the restrictions imposed, a maximum of one year. An agreement of non-competition does however not bind the employee if the employment relationship has been terminated for a reason deriving from the employer. The employer must pay a social security contribution of each employee between the ages of 16 and 68. The amount of the contribution is 2,12 % of salaries. In addition to the social security contribution the employer must wholly pay the accident insurance contribution (0,3–8,0 % of salaries, depending on the branch) and the group life insurance contribution (0,07% of salaries), and partially the mandatory pension insurance contribution (18,15 % of salaries) and the unemployment insurance contribution (0,8–3,5 % of salaries) . All these contributions are deductible for corporate tax purposes. The Finnish Occupational Safety Act (Fi. Työturvallisuuslaki) requires the employers to take care of the safety and health of their employees while at work by taking the necessary measures. For this purpose, employers must consider the circumstances related to the work performed, working conditions and other aspects of the working environment as well as the employees’ personal capacities. The employees for their part must cooperate with their employer in maintaining and improving safety in workplaces. At workplaces where at least ten employees work regularly, the employees shall from among themselves choose an occupational safety and health representative (Fi. Työsuojeluvaltuutettu) and two vice representatives to represent them in the cooperation referred to above, and to keep contact with occupational safety and health authorities. In other workplaces, too, the employees can from among themselves choose said representatives. Also the employer must nominate his representative (occupational safety and health manager), unless the employer himself wishes to take the position. The occupational safety and health manager must help the employer and the management in tasks relating to acquisition of expertise in occupational safety and health and to cooperation with employees and occupational safety and health authorities. At workplaces where at least 20 employees work regularly, also an occupational safety and health committee must be established for a period of two years at a time. Both the employer and the employees of the workplace are represented in the committee. Each employer must have an occupational safety and health policy for action needed in order to promote safety and health and to maintain the employees’ working capacity. The policy must incorporate the need to develop the working conditions and the impact of the working environmental factors. The Co-operation in Undertakings Act stipulates proceedings that apply to private work places which have at least 20 regular employees. A wide range of matters are subject to co-operation, including matters having a significant influence on the position of the personnel, essential changes in the functioning of the enterprise or a part thereof and the influence of such changes in the position, number or tasks of the personnel. Before a decision is taken on a matter mentioned in the Co-operation Act, the employer must discuss the grounds, effects and alternatives of the measures with the employees or personnel representatives concerned and give then the information necessary for the handling of the matter in the co-operation negotiations in accordance with the co-operation procedure. After the required consultation, the decision rests with the employer. The employer might be faced with heavy consequences if he totally or partially ignores the co-operation procedure. A company incorporated in Finland is considered taxable in Finland for its worldwide income, while companies incorporated in other countries are taxable in Finland only for income attributable to permanent establishments in Finland. The corporate tax rate has recently been lowered in Finland and is currently 24,5 % of a company’s taxable income. Dividends received by a Finnish resident company from another Finnish company are generally tax exempt, as well as dividends received by a corporation from the EU and tax treaty countries. There are however some exceptions to this rule. For example dividends received from other EU countries by non-listed companies from publicly listed companies are partially subject to tax, if the non-listed company owns less than 10% of the listed company. Capital gains are generally treated as ordinary income and taxed at the standard corporate rate. However, gains derived from the sale of shares are not taxable for a Finnish corporate taxpayer when the sold shares belong to fixed assets that are deemed to be part of the seller’s business and certain additional requirements are met. There requirements include for example that the seller company owns at least 10% of the share capital entity and that the alienated shares are of a Finnish company or a foreign company listed in the Parent-Subsidiary directive or a company resident in a treaty country, provided the treaty applies to dividends distributed by a company. Finland has no thin capitalization rules or similar limitations on the deductibility of interest. However, interest deductions may be disallowed if the capital structure is not commercially feasible. Interest – on external loans as well as intra group loans – is accordingly generally deducible. However the Finnish government is currently planning on introducing thin capitalization rules as of 2013. Dividends paid to a foreign company are tax exempt in Finland, if they would be tax exempt if paid to a Finnish company, and if certain additional requirements are met. Otherwise the dividends may be subject to a withholding tax of 19,5 % unless reduced due to tax treaties. According to the domestic law of Finland, interest paid to a nonresident is usually exempt from taxation in Finland, so no withholding tax is payable on interest payments. However, interest paid to a loan comparable to equity may be subject to a withholding tax. Acquisitions of unlisted companies are not governed by any specific rules save for the general rules in the Finnish Companies Act (Fi. Osakeyhtiölaki), and as a general rule, shares are freely transferable. Specific provisions may, however, be prescribed in the articles of association or in the Shareholders’ Agreement (Fi. Osakassopimus), which may include e.g. a redemption clause and/or a consent clause. A redemption clause usually stipulates that a shareholder, the company or another person has the right to redeem shares due to be transferred to a new owner. Right to redeem does not apply if the shares are transferred from the company to a new owner. A consent clause usually means that a transfer of shares has to be approved by the company. It is customary to have a written agreement regarding the acquisition. The transfer has to be registered in the target company’s share register. With respect to the acquisitions of listed companies, it shall be noted that they are obliged to reveal essential information, especially such that might somehow affect the value of their shares, and important decisions and events have to be publically announced. Also, if the target company is a public company, it must be taken into consideration that a shareholder must disclose information on his portion (portion of holdings) to the company and the Finnish Financial Supervision Authority (Fi. Finanssivalvonta) when the portion reaches or exceeds or falls below certain limits. The disclosure notification must be submitted without undue delay after the shareholder knew or should have known of a contract under which his portion of holdings reaches or exceeds the threshold provided for or falls below it. Also the squeeze and sell-out rights stipulated in the Companies Act should be taken into account when planning an acquisition. These rights include the right of a shareholder with more than nine tenths of all shares and votes in the company to redeem the shares of the other shareholders at the fair price, and the corresponding right of a shareholder whose shares may be redeemed to demand that the shareholder’s shares be redeemed. Additionally, it is important to note that employees and their rights are automatically transferred to the purchasing company on the acquisition of a whole or part of a business. There are no limitations with respect to the nationality of the parties to an acquisition. In certain rare situations the Act on the Supervision of Foreign Acquisitions may however be applicable. In such cases foreign acquisitions may be restricted due to an important element in the national interest. An acquisition shall be notified to the Finnish Competition Authority (Fi. Kilpailuvirasto), if i) the combined aggregate turnover in Finland of all the undertakings concerned in the preceding financial year exceeds 350 million euros, and ii) at least two of the undertakings concerned had a turnover in Finland the preceding financial year which exceeds EUR 20 million for each of the undertakings. The notification shall be made by the party or parties acquiring control and the acquirer of the business of part thereof. A notification of a concentration between undertakings can be made before a binding agreement has been entered into if the parties can demonstrate that they intend to implement the concentration. The plan for the proposed concentration shall be sufficiently concrete, for example, in the form of an agreement in principle or letter of intent signed by the parties. A notification shall be made before the concentration between undertakings is implemented. The Finnish concentration control rules are not applicable when the concentration has an EU dimension, i.e. if it meets the thresholds set out in the EC Merger Regulation. A person who wishes to enter the Finnish market in order to establish a company or become a partner of an already established enterprise and plans to reside in Finland, must apply for a residence permit. A person wishing to work or start a business in Finland must apply for a residence permit for an employed person or for a self-employed person, as a regular residence permit usually does not enable working in Finland. A residence permit for a self-employed can generally be granted only after the applicant has registered his business with the Trade Register. Nationals of other Nordic countries do not need a residence permit of any kind, nor do EU nationals and non-EU nationals with a comparable status (e.g. Liechtenstein, Switzerland). The latter must however register their stay with the district police department no later than three months after arriving in the country. Applications for the first residence permit must be filed with the Finnish Embassy or Consulate in the country of origin. In some cases, an application for a residence permit based on family ties or some other reason can be filed with the local police in Finland. The application must be filed by the applicant him or herself, and cannot be filed e.g. by his or her employer. The handling time for a worker’s residence permit is approximately 65 days and that of a self-employed 150 days, which should be taken into account when planning to move to reside in Finland. The application should advisably be sent in good time before the intended entry into Finland. The application fees are (in 2012): 385 EUR for the first residence permit, 440 EUR for the first residence permit of a worker, and 180 EUR for the first residence permit of a minor. The applicant’s family members can be granted a residence permit based on the family connection. The definition of a family member includes married and registered spouses, children under the age of 18 and cohabitants, in case the couple can prove to have lived together for a minimum of two years or that they have a common child. An exception from this rule may be granted on special grounds, e.g. if the couple can show that they have a serious relationship and an intention to continue being together also in Finland. The first residence permit is always for a fixed period of time. The permit is issued usually for one year. A permanent residence permit can be granted when the applicant has been resident in Finland for four consecutive years on a continuous residence permit. There are a set of different statutes that regulate intellectual property rights. Patents, copyrights, utility models, trademarks and designs are covered by specific laws. Registration is required to enjoy protection for certain IPRs. The terms of the protection vary depending on the right in question. Finland adheres to several different international conventions concerning IPR’s and as a member of the EU, the European Community regulations apply. The Finnish Product Liability Act (Fi. Tuotevastuulaki) imposes strict liability on the seller, the importer or the manufacturer depending on the situation. Liability ranges both to personal injuries and to damages on the property of individuals caused by an unsafe product. The Act allows a public authority to restrict or prohibit marketing and sales of services and products due to safety reasons. The courts in Finland are divided into general courts with jurisdiction in civil and criminal cases, and administrative courts with jurisdiction in cases concerning administrative law. The general court system is divided into three levels, the District Court, the Court of Appeal and the Supreme Court, while the administrative court system is divided into two levels, the Administrative Court and the Supreme Administrative Court. Additionally, there are special courts for certain legal areas, e.g. the Market Court and the Labour Court. Finland is a party to both the Lugano and the Brussels Conventions. Due to Finland’s membership in the EU, Finland also adheres to the Brussels Regulation on Jurisdiction and the Recognition and Enforcement of Judgments in Civil and Commercial Matters. 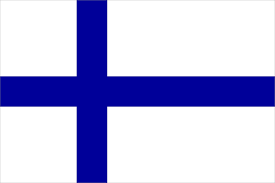 Arbitration in Finland is mainly regulated by the Finnish Arbitration Act (Fi. Laki välimiesmenettelystä). An arbitral award is considered to be final; they are not subject to substantive review. However, e.g. serious procedural defects may be bases for challenging the award. Finland is a signatory to the 1958 New York Convention and awards given in a signatory country to the Convention may be enforced in Finland.